Whether it's an intimate gathering of close friends or a year-end blowout, nothing beats a great party. But it takes a lot of foresight and planning to bring a party off successfully. To get your guests together, keep them well-supplied with food and drinks, and make sure they stick around, you're going to need a little elbow grease. The best gift you can give yourself when planning a party is to start planning early. If you don't get your game plan together a few weeks in advance, you're more likely to rush and make rookie mistakes like ordering too much or too little food. Plus, if you don't distribute the work over the days and weeks leading up to the party, you'll have to do it all at once. This can leave you tired and frazzled (or worse, still working) by the time the party kicks off, when you should be circulating and schmoozing with your guests and playing the gracious host. Our party planning list should give you the tools you need to make sure you're the life of the party...not a slave to it. Generally, party planners agree that you should start planning a party three to four weeks before your guests arrive. This gives you time to make big decisions about your guest list, theme, decor, and food, and then take concrete steps to make them happen. The best way to keep track of all the details (and man, will there be details) is to use a master checklist to stay on top of everything that has to be done before the date of the party. A sturdy task manager like Goodtask can serve as your party's nerve center. It's robust enough to handle tasks on the scale of hours, days, and weeks. Whatever you decide needs to be done, add it to your checklist and give it a deadline, even if it's an arbitrary one. Some people find that setting reminders isn't enough. They need a constant sense that their deadlines are drawing closer. If you're such a person, your party preparations might benefit from WaitingList. Waiting List is a manager for as many countdown timers as you feel like using. You may want to create an individual timer for each item on your party planning checklist. 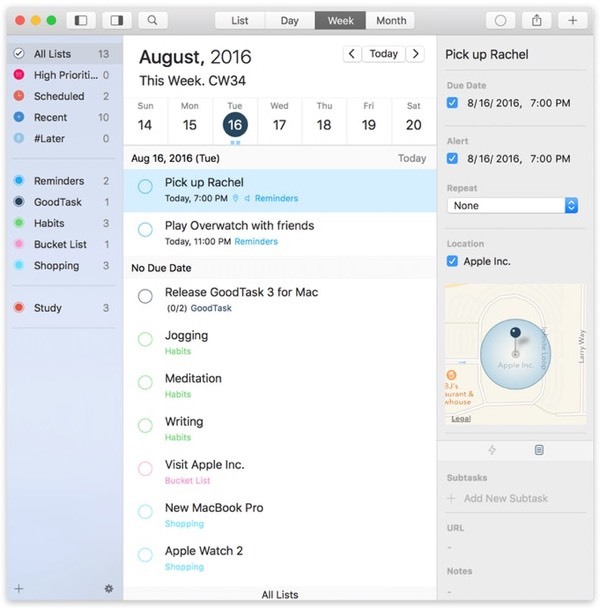 Every time you open your Mac, you'll see how long you've got to check an item off the list in order to stay on schedule. When it comes to throwing large parties, communication is key. Maybe you're coordinating with outside services: florists, caterers, and entertainment. Maybe you've invited 150 people and you NEED to know who can make it so you can get your seating chart finalized. Even if you're hosting a smaller soiree, the emails are going to fly. 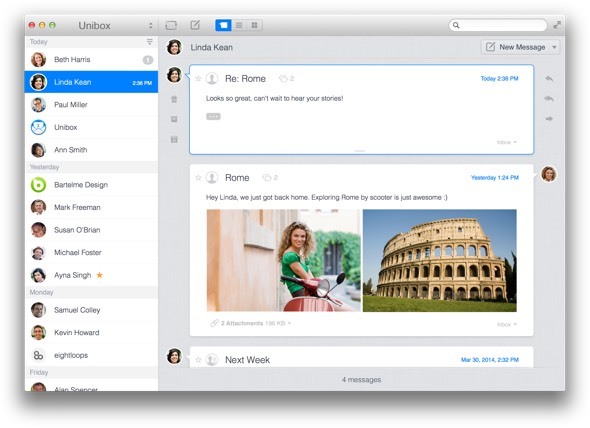 If you have trouble staying on top of email anyway, you'll want to use an inbox manager to make your job easier. Unibox lets you group and filter your emails, bringing much-needed order to the chaos of RSVPs, guest lists, and menus so you can breathe easier. Once you've got the right tools for the job, it's time to make a checklist for yourself. No two parties are the same (no two good ones, anyway) but we've pulled together a party planning template that you can adapt for any shindig. It's grouped from the earliest tasks all the way down to the day of the party. Decide what elements your party will have: entertainment? Dinner? Dancing? Give yourself a pat on the back. Your party is going to be fantastic.